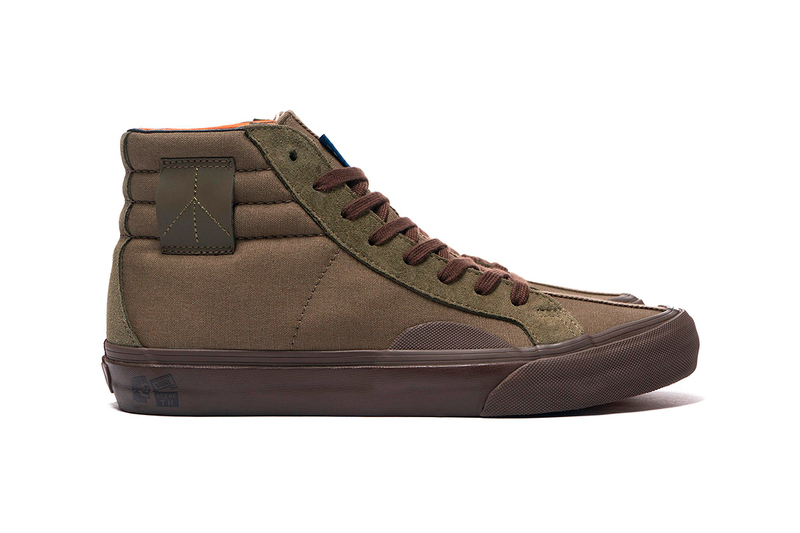 Continuing their collaborative relationship, Vans Vault recently tapped Japanese designer Taka Hayashi for a new military-inspired capsule. Centered around army khaki and stone grey, the special range reworks Vans‘ classic Slip-On, Chukka and Style 238 with a dense cotton canvas. The shoes also come complete with padded ankle supports, leather panels, matching nylon forefoot taping and colored rubber outsole. Finishing up each model are UltraCush insole, which provides an elevated level of comfort. Priced between $120 and $150 USD (approximately $92 and $115 USD), the Taka Hayashi x Vans Vault Military capsule is available now at select retailers like HAVEN. In case you missed it, Vans recently introduced its vintage Bold Ni silhouette.